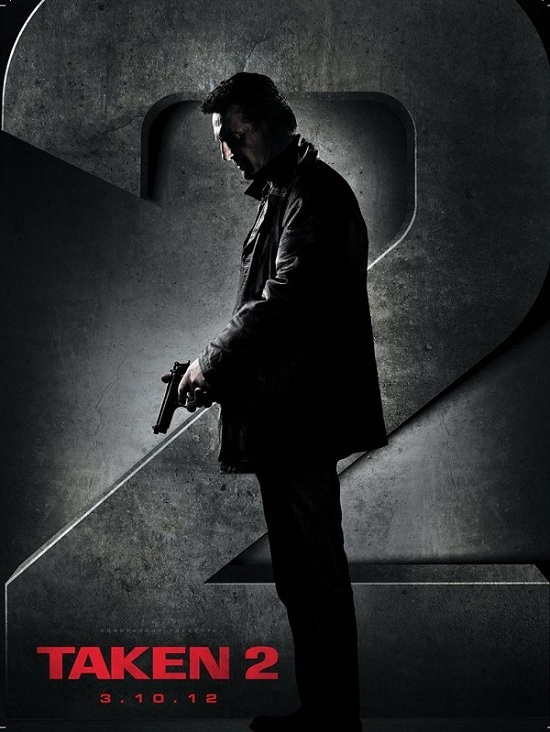 A New International Poster for 'TAKEN 2' Starring Liam Neeson & Maggie Grace Arrives! A new International poster for Taken 2 has popped up online [via Cine1]. The sequel hits theaters this October 5th & sees original scribes Luc Besson & Robert Mark Kamen return for script duty. Olivier Megaton [Colombiana] is directing. Liam Neeson returns as Bryan Mills, the retired CIA agent with a particular set of skills who stopped at nothing to save his daughter Kim [Maggie Grace] from Albanian kidnappers. When the father of one of the kidnappers swears revenge and takes Bryan and his wife hostage during their family vacation in Istanbul, Bryan enlists Kim to help them escape, and uses the same advanced level of special forces tactics to get his family to safety and systematically take out the kidnappers one by one. I'm reading: A New International Poster for 'TAKEN 2' Starring Liam Neeson & Maggie Grace Arrives!Tweet this!